This is an article with both anecdotal evidence and science. It is about me, anxiety and depression, a gene mutation, and a 17-cent-a-day “treatment” that works (for me). All my life most of the people I have known would describe me as outgoing and personable. But I hid a secret: I was anxious, depressed, and an insomniac about 360 days a year and felt “normal” the other five. I’ve been that way since I was a kid. Until a few years ago, anxiety, depression, and insomnia have affected my performance in school and later on jobs. In retrospect, I also see where it undermined some of my relationships with women. I also drank quite a bit. I know alcohol is a depressant, but it wasn’t while I had a “buzz,” because as long as I had that buzz I felt better, and that was all that mattered. In my early 50s, I went to a doctor and got a prescription for an antidepressant. I took one pill. The depression and anxiety disappeared, but it was replaced with a bland numbness that also interfered with the rest of my life. The theory was that once I was “numbed” I could see a shrink and learn to deal with my “issues.” But I didn’t attribute my anxiety and depression to any identifiable issues. Besides, anxiety and depression “run” in my family " and that should have been a clue to me that I may have inherited a “condition.” But I didn’t think about it that way, yet. I told the doctor I’d rather be dead than taking his antidepressants and I threw out the rest of the pills and went on with my anxiety and depression and the strategies I had created to deal with them, which included drinking. But my insomnia got worse and about 10 years later, on the advice of a friend, I got another doctor, this one in Ashland, Oregon, to prescribe the anti-anxiety drug, Ativan. The upside was that taking Ativan allowed me to sleep better. The downside was that I had trouble writing, and that’s how I make a living. But the Ativan wasn’t mind-numbing like the antidepressant had been, and the sleep I gained made it a marginally acceptable trade-off. A few years after that, this same doctor asked me to take a blood test for possible mutated genes. I asked him what he was looking for. He gave me a brief explanation, then handed me some literature to read. It explained a suspected link between the inability of one’s body to process folic acid (vitamin B9), an “essential” vitamin humans must get from food (liver, dark leafy greens, etc. ), into folate, the form of B9 your body is able to use. The literature explained that the inability to process folic acid into folate had been linked to depression, anxiety, and insomnia, as well as certain types of cancer, heart disease, and birth defects. Vitamin B9 was vital to controlling these things, and if I had one mutated gene, less than 40 percent of the folic acid in my diet was being processed into the folate my body needed. If I had two mutated genes (you get one gene from each parent), less than 10 percent was being processed. I found it hard to believe a vitamin deficiency caused by a gene or set of genes could be the reason for problems that had plagued me for more than six decades. But I was curious, so I had the blood test. Suddenly, my depression, anxiety, and insomnia had a “cause.” Better yet, he said he wanted me to take an over-the-counter “medication” called L-methylfolate. It is folic acid that has already been processed into folate so that the B9 is bioavailable. That afternoon I took the first tablet and about 12 to 15 minutes later my world changed. The words I’ve used to describe it is that I felt like a veil had been lifted and I immediately realized that for more than 60 years ordinary events in my life took on a darker tone simply because my body had been unable to process a common vitamin. We have about 20,000 genes in our DNA. 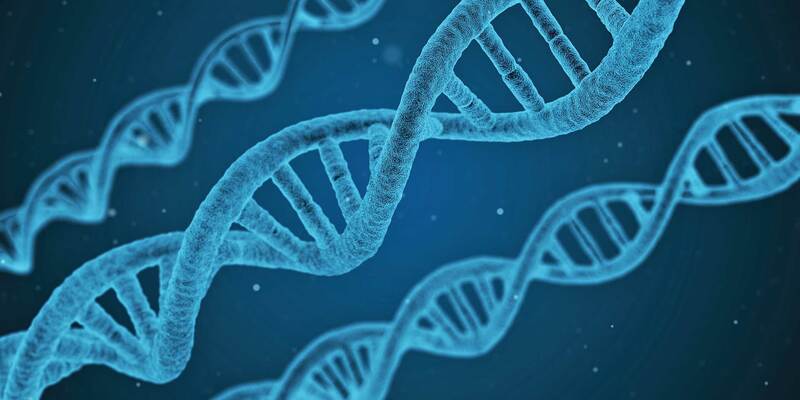 Altogether, these genes are a set of instructions of how to make you into “you.” Among these genes are two MTHFR genes, one you get from each parent. They provide instructions for making an enzyme called MethyleneTetraHydroFolate Reductase. (I capitalized and bolded some of the letters so you can see where the MTHFR acronym comes from.) This enzyme converts folic acid into folate so your body can use it. With the converted vitamin, your body can now produce various neurotransmitters in the brain, such as serotonin, dopamine, and norepinephrine, all of which are necessary for good mental health, and whose absence leads to mental health issues such as what I experienced. With folate, your body can also regulate hormone levels, cholesterol levels, digestive functions, endocrine functions, and a host of other processes. Without it, besides anxiety, depression, and insomnia, there are scores of other health concerns you may be susceptible to that weren’t mentioned in the literature the doctor gave me, including ADHD, macular degeneration, various forms of dementia, and cognitive impairment including Alzheimer’s. Also implicated are long-term loss of bone density, certain cancers including colon cancer, some autoimmune diseases, certain kinds of hearing loss, acute leukemia, blood clots, and a reduction in a body’s ability to manufacture new red and white blood cells. The L-methylfolate also breaks down homocysteine, an amino acid which, when it accumulates in high levels in your body, is thought to be involved in the damage to the lining of arteries and other cells in the body which leads to cardiovascular diseases including peripheral artery disease, heart disease, and strokes. The converted homocysteine then becomes methionine which your body needs for metabolism, muscle growth, and the creation of other chemicals your body requires to function normally. Pregnant women who lack sufficient folate are more susceptible to giving birth to children with certain defects including autism and neural tube defects, such as spina bifida and anencephay, that is, children born with only part of a brain or no brain at all. Folate is often prescribed for women who are pregnant. It’s amazing all the things folic acid, once converted, will do for your body. Since I started taking L-methylfolate, my anxiety and depression have all but disappeared. However, more than once it was suggested I was just the beneficiary of a placebo effect, and I couldn’t provide any evidence that I wasn’t until the following happened. To buy the L-methylfolate that was benefiting me so much, I had been making a 340-mile round trip from my home in Gold Beach, Oregon, to a medical clinic in Ashland, Oregon. It was worth the travel, and the clinic did not offer mail order. Then I found a cheaper source of the very same L-methylfolate online. It was about $20 a bottle cheaper, and I bought it online several times. But my anxiety and depression inexplicably returned. I didn’t know why, and they were worse than ever because I’d forgotten a lifetime of the coping skills I had acquired to deal with them. For the next three months my days had become a living hell. I was grateful I had my L-methylfolate because I was sure that without it my depression would deepen. I could see why people with really deep depression sometimes commit suicide, and I truly believed the L-methylfolate I was taking was all that kept me from sinking deeper. As the bottle ran out and it was time to reorder, I went back to the Amazon site where I had been ordering. I placed a bottle in my “shopping cart.” The funny thing was, some woman had given it a “one-star” review. This stuff was like gold to me. What could possibly have made her give it a one-star review? I read her review. Her complaint was that they hadn’t shipped her what she had ordered; they’d sent her the wrong kind of L-methylfolate, one that she said didn’t work. “The wrong kind?” I asked myself. I grabbed my almost-empty bottle and an old bottle I’d previously bought from the Ashland clinic, in which I was collecting the desiccant packets, and compared them. The bottles were subtly different. So, someone had substituted a form of L-methylfolate that didn’t work, for both my order and hers. Within minutes I left to make the 340-mile round trip to Ashland to get the right stuff. When I got it, I took two tablets in the parking lot. After about 20 minutes, my three-month depression began to melt away and I was back to feeling “normal.” So much for the placebo effect. The brand of L-methylfolate that seems to work best for me is made by Pure Encapsulations. I’ve discovered that some 40 percent of people have MTHFR gene variants we commonly call mutations. But researchers know that an MTHFR mutation is not an “all or nothing” situation. There are different levels of seriousness and some people can have the mutations and spend their lives functioning normally without any kind of treatment. However, 14 to 20 percent have “severe” mutations, as I do. Today, because my depression is past history, I almost don’t drink alcohol. I didn’t quit. I’ll still have a beer or a glass of wine if there’s an occasion, but I don’t drink for “escape” and, as I write this, it’s been more than a month since I last drank. But it’s important to point out that while I’ve all but quit since I started on this supplement, L-methylfolate is not a cure for alcoholism. Alcoholism, just like depression, heart disease, birth defects, and cancer, has many causes. In my case, I just don’t feel a need to drink any longer because my depression is gone, but only as long as I’m taking the L-methylfolate. And here’s something else: If I do have a few glasses of wine, I know I’m going to wake up about three or four hours after I go to bed, and I’ll be feeling anxious and depressed, and I’m going to lie there, gradually waking up, until I realize the alcohol has depleted my body of B vitamins, including all forms of folate. It happens to everyone. So I pop one capsule of L-methylfolate, chase it with a little water, and about 15 minutes later I’m going back to sleep with an eased mind. And in anticipation of your question, it doesn’t seem to help to take L-methylfolate while I’m drinking. It only works for me if I take it later. What L-methylfolate do I take? Within the last year, I discovered a cheaper source of folate. Instead of the $75 for 90 tablets that I was originally paying, or the $55 I later paid through Amazon, I found a local health food store that had a brand made with a form of folate called Metafolin and costs $15.50 for 90 capsules. (It’s also sold here online: https://www.naturalhealthyconcepts.com/folate-400-PE90-13717186.html) It’s not only saving me money, it seems to work better than what I was taking previously. So I now spend about 17¢ a day when I take one 400 mcg tablet, and about 35 cents a day when I take two. I’ve also tried several other brands. Some, though made with Metafolin, don’t seem as effective for me. The brand that seems to work best for me is made by Pure Encapsulations. I also tried brands made with Quatrefolic. They also worked, but I felt I had to take twice as much to feel “normal.” Then, as I was doing research for this column, I discovered that 1 mg of Quatrefolic equals approximately 0.56 mg of Metafolin. So, it really did take twice as much. For the time being, I’ll stick with the Metafolin. But should you decide to take these forms of folate, ask your doctor to make a recommendation. Since the pills are so cheap, also tell him or her that you may experiment with different brands to find out what works best for you and keep your doctor up to date. Want to know if you need L-methyfolate? Ask your doctor. He can prescribe the same blood test my doctor prescribed. Tests like this can sometimes be expensive, but if it’s prescribed, you may be able to get it covered by your insurance. Otherwise, have a gene test with a health report available now from places like 23andme.com, ancestry.com, and others. The full report from 23andme.com costs more than just the “ancestry results only,” but there are sites that will take your “ancestry results only” and provide a health report much cheaper. Since I started taking this, I’ve recommended it to several people who have problems with chronic, unexplained depression. It’s helped about half of them. These include a woman who initially told me it made no difference in her. She stopped taking it, though her daughters swore it made a positive difference in her. A few years later I got her to try it again. She took one in the morning and one in the evening. For several weeks she wasn’t sure they made a difference, but when she ran out, she said the quality of her life degraded. She now takes them all the time. Another friend, who has a single mutated MTHFR gene and takes L-methylfolate, recently told me his son started taking it several months ago and it’s made a difference in the boy’s life. Today, awareness of this mutation is well enough known that some psychologists and psychiatrists, who have patients coming to them for depression and/or anxiety, ask them to first try L-methylfolate before treatment begins. They tell them that if the depression and anxiety go away, they don’t need further treatment. For the elderly, depression is recognized as a serious issue and the likelihood of suicide increases as we become older. It’s often attributed to loneliness, but it’s worth noting that as we age our bodies have more difficulty absorbing and processing nutrients including B vitamins and, in some cases, it will be found that rather than psychological or situational origins, their depression is going to be the result of natural physical changes that prevent folates from being absorbed. I’ve noticed that as I’m passing 70 it takes two doses of folate a day, one in the morning and one when I go to bed to feel “normal.” And, as I said, I now feel good for longer stretches than I have ever felt in my life. I, for one, will be taking this stuff for the rest of my life. But it isn’t just seniors at risk. Some pediatricians are now recommending L-methylfolate supplements for children with attention and cognitive issues. It’s not a magic bullet or a cure-all, but it has helped some children. But before you go feeding it to your kids, have your pediatrician see if it’s needed and, if so, recommend a dosage. The study of the MTHFR gene and its mutations is in its infancy. I’m sure some of the disorders associated with the mutations will prove to be true while others will be shown to be false positives. It’s important to remember that the mutations in the gene do not cause depression, anxiety, or any of a host of diseases. It is the mutated gene’s failure to process certain nutrients that causes the diseases. Fortunately, today, those of us with the mutations can take a supplement that makes it possible to live a “normal,” happy life. John, thank you for this article. Much of what you described resonated with me. 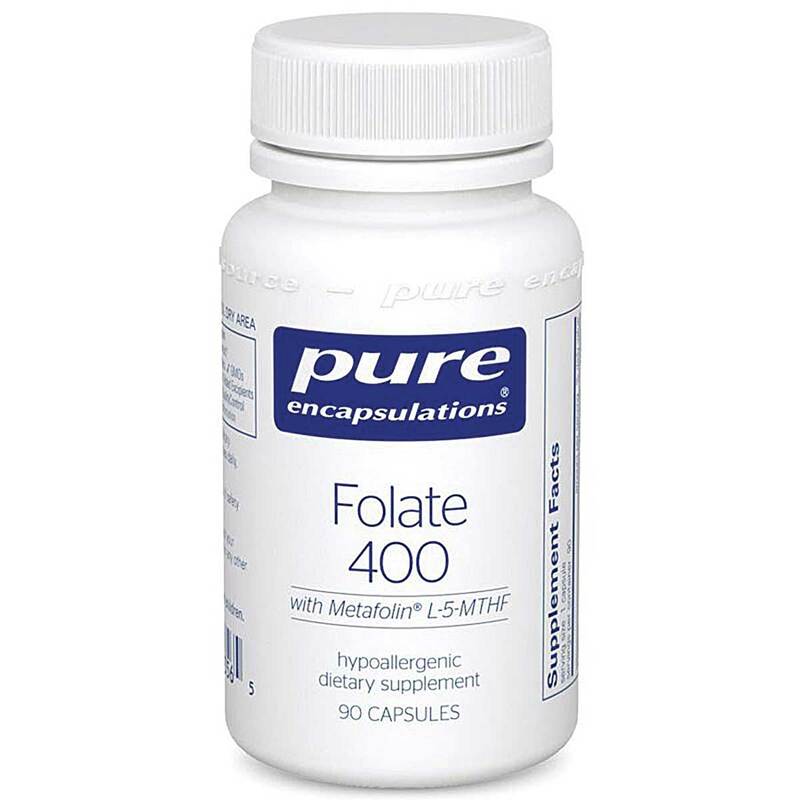 I have ordered the Pure Encapsulations Folate 400 & hope I see similar results. WOW!!! Thank you for this article. I’ve had severe depression with 2 near suicides my entire life. I will definitely do more research into this possibility. I’ve been on antidepressants forever as well as ADD meds etc. I would really like to stop taking them if possible. Thanks again.